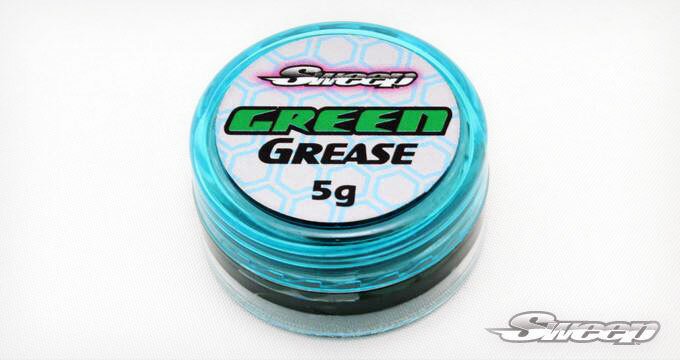 Sweep Green Grease, multi purpose grease that works! Won't ballon O rings or gunk up on metal parts. High performance grease offering excellent lubrication properties that minimize metal parts deterioration. This special slippery formula lubricates all kind of metal on metal parts such as differential joints, drive shaft, crown and pinion gears, etc. and reduces bearing drag, resists water, inhibits corrosion and protects shock O-rings under extreme conditions.